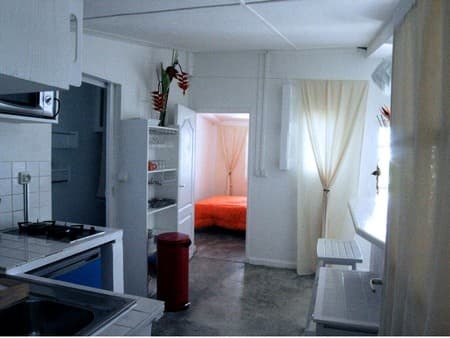 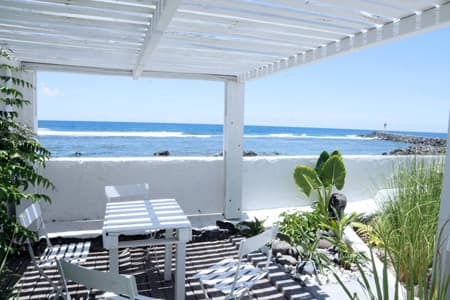 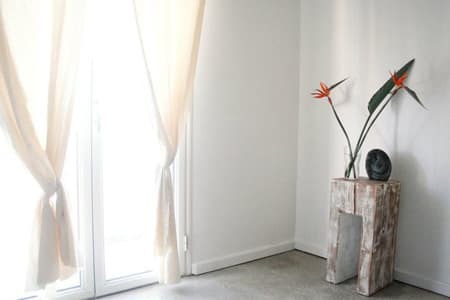 La Jetée in Terre Sainte in the south of Reunion Island invites you to discover its holiday rentals with exceptional views of the ocean and the boats coming in and out of the marina. 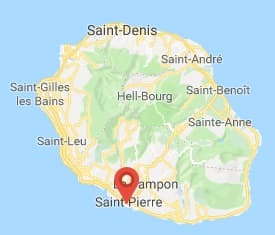 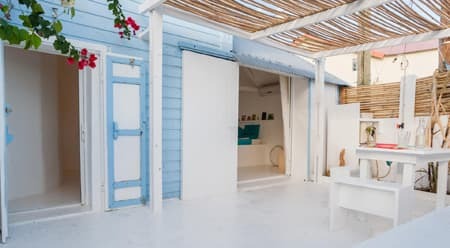 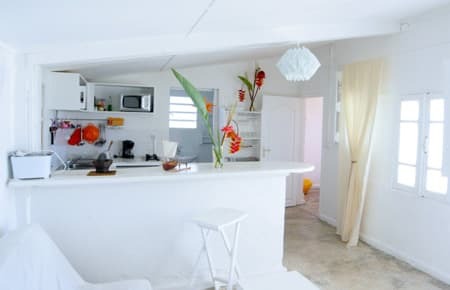 In a white and blue décor, imbued with the history of the place, you will appreciate its prime location, the waterfront, at walking distance from the city of Saint Pierre and its entertainment. 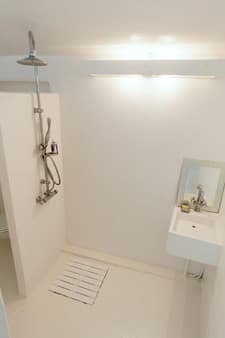 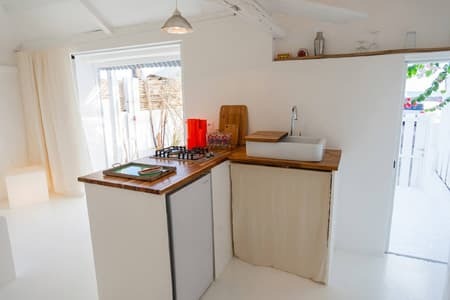 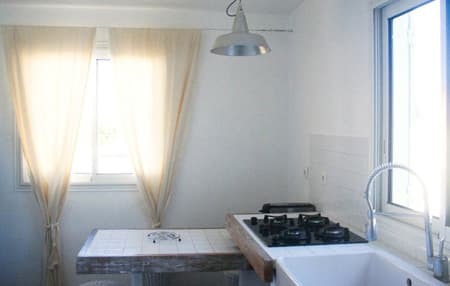 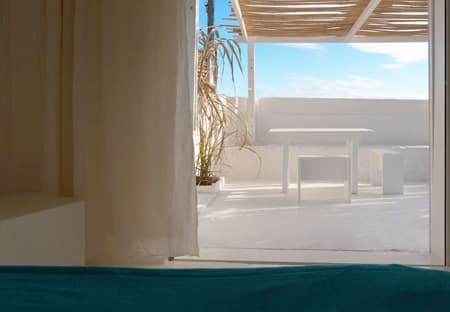 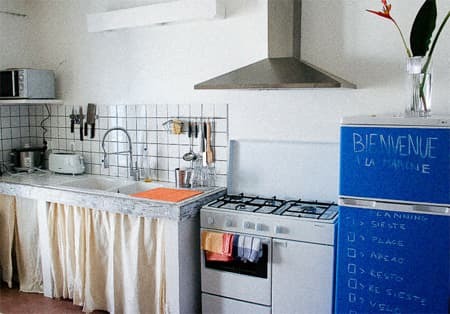 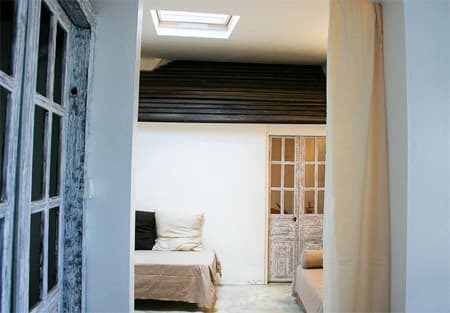 This holiday apartment on the ground floor with terrace and sea view, fully equipped for 2 people, is a mini-loft in shades of white, with original exposed beams. 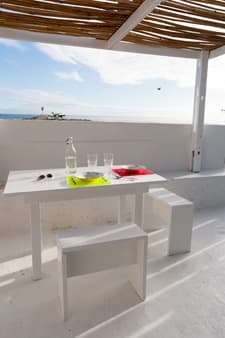 Enjoy the sunsets from the terrace! 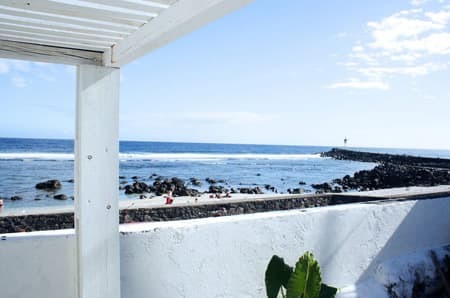 In this fully equipped apartment for 4 people, you will appreciate the exposed timbers of the old fisherman's house, the little exotic garden and sea views from the terrace. 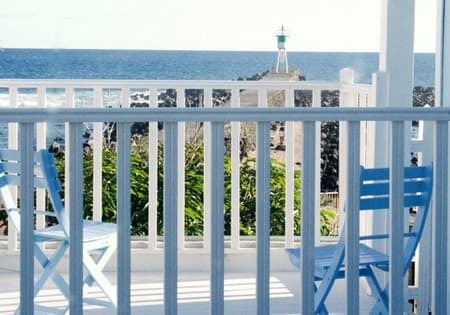 This duplex, with sea view and terrace, is equipped for 2 guests. 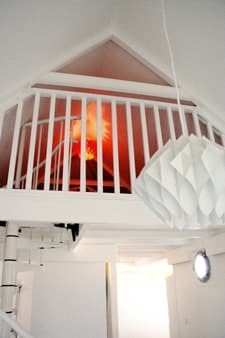 Double bed on the mezzanine, flowery courtyard in ground garden with outdoor shower and BBQ. 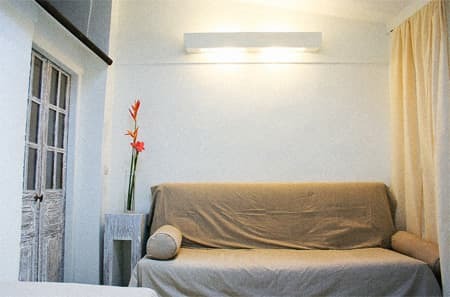 80 yards from the other 3 rentals, at the turning of a small typical alley of the neighborhood and just opposite a lovely beach, La Plage is an apartment with sea view, from the veranda and the pergola, equipped for 5 people (2 bedrooms + convertible sofa). 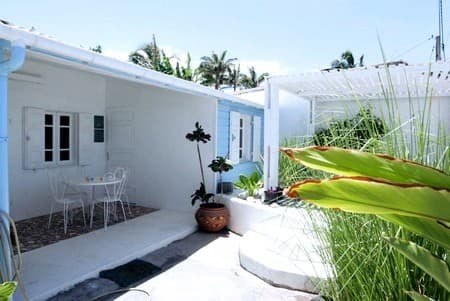 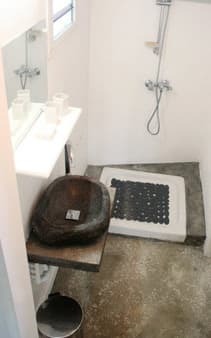 Garden on the ground floor with outdoor shower and BBQ. 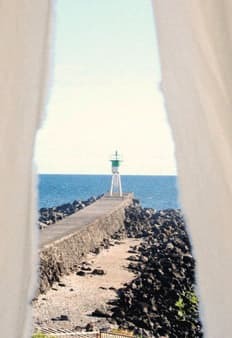 Photo 22 : See you soon in La Jetée! 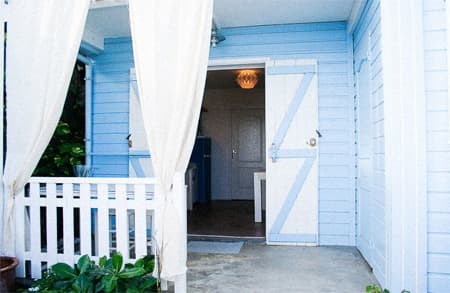 A 30% deposit is required for all reservations. 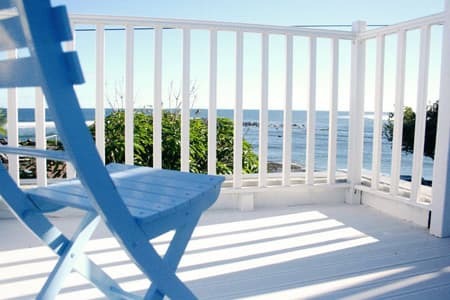 On arrival, we will ask the rest of the rental amount (70%) and a deposit check uncashed and returned on departure.